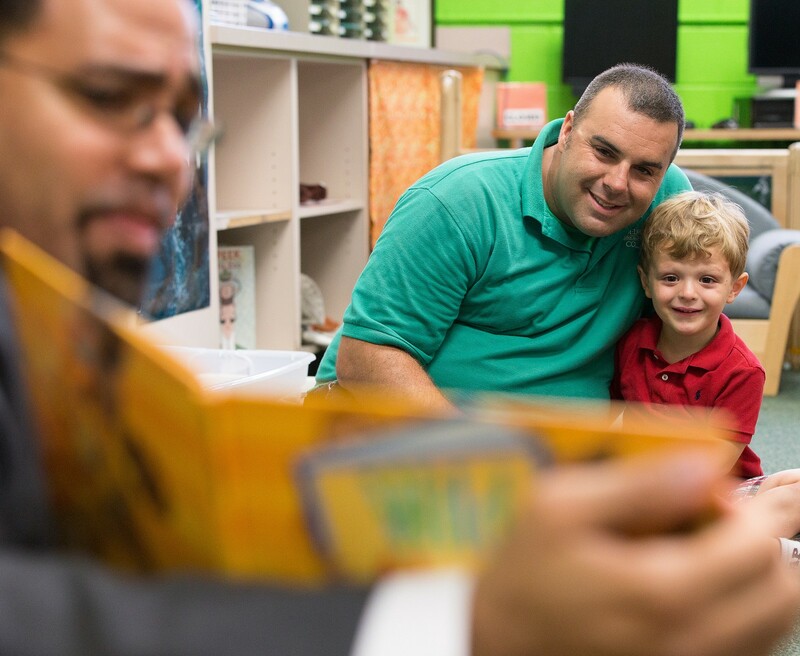 All parents and families want their children to start school ready for success, and all children in America deserve the opportunity to reach their full potential. Quality early childhood education is part of the foundation that helps children thrive both in school and in life. The benefits of the rich opportunities for learning and development provided in high-quality preschool are long lasting and powerful for all children, but especially disadvantaged children who, too often, enter kindergarten a year or more behind their peers in key academic and social-emotional skills. Research shows that children who participate in quality preschool are more likely to read, write, and do math at grade level, graduate from high school, and grow up healthy to secure a good job and support stable families. 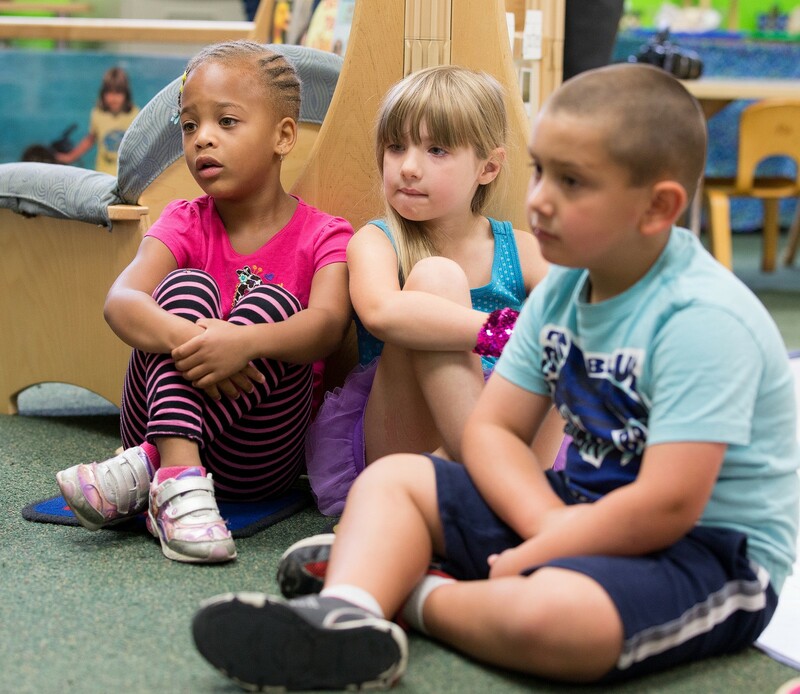 As a nation, all children — regardless of socioeconomic status, race, background, disability, or zip code — must have access to the opportunities that high-quality preschool can make possible. This work is a matter of equity and of moral and economic significance. From the beginning, President Barack Obama has made early education a priority. 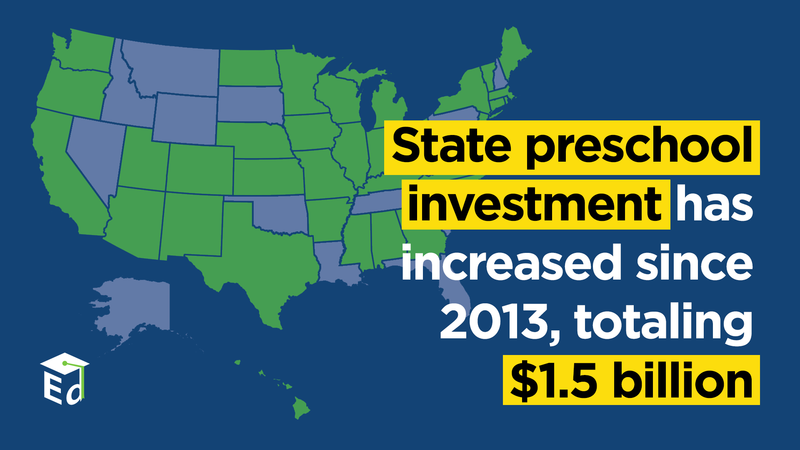 The Obama Administration put major investments in place for Head Start, the largest federal early childhood initiative, increasing funding by more than $4 billion to boost the quality of the program and ensure the neediest children and families benefit rom a high-quality education and comprehensive services. 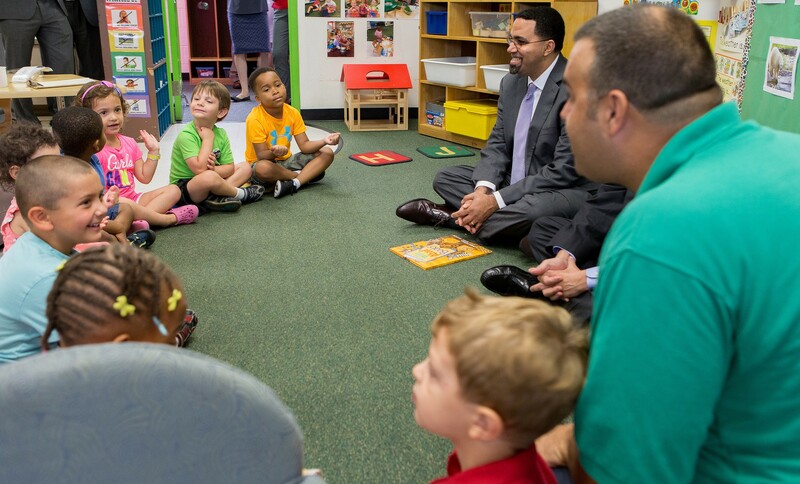 Additionally, more children will have access to full-school-day and full-school-year Head Start programs. Through the Race to the Top — Early Learning Challenge(Early Learning Challenge), jointly administered by the Departments of Education and Health and Human Services, the Administration invested more than $1 billion to support 20 states in designing and implementing a cohesive system of quality early learning programs and services for young children from birth through age five. Since its inception in 2011, the program has helped those states significantly increase the number of programs providing high-quality early learning to children, especially those who have been traditionally underserved and are most vulnerable. 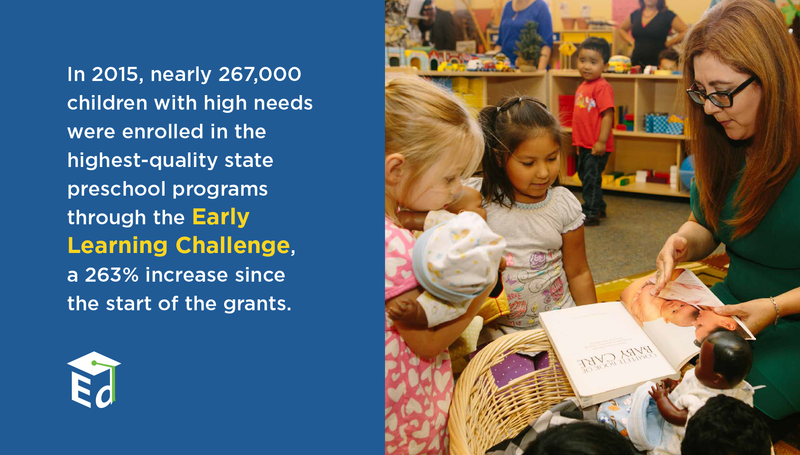 In fact, Early Learning Challenge states are home to more than half of young children who are low income or have the highest needs in the country. These states used innovative strategies to drive positive outcomes in early learning, including bringing together child care, Head Start, and public and private preschool programs into one system where the quality is assessed, continually improved, and publicly promoted. 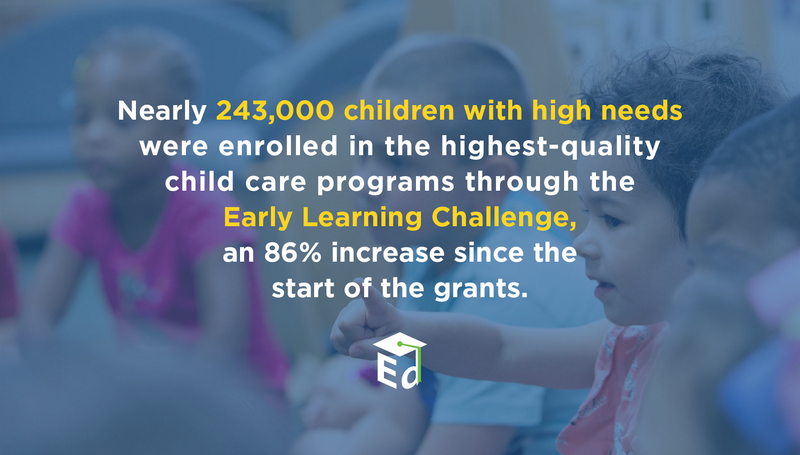 In 2015, the 20 Early Learning Challenge states reported that nearly 267,000 children with high needs were enrolled in the highest-quality state preschool programs — representing a 263-percent increase from the start of the grants. Additionally, nearly 243,000 children with high needs were enrolled in the highest-quality child care programs that receive federal funds — an 86-percent increase since the start of the grants. And, nearly 211,000 children with high needs were enrolled in the highest-quality Early Head Start or Head Start programs — representing an increase of 189 percent since 2011. When President Obama entered office, fewer than 40 states offered children access to state-funded preschool. That is why, in 2013, the President put forth the bold Preschool for All proposal to establish a federal-state partnership that would provide high-quality preschool for all 4-year-olds from low- and moderate-income families. 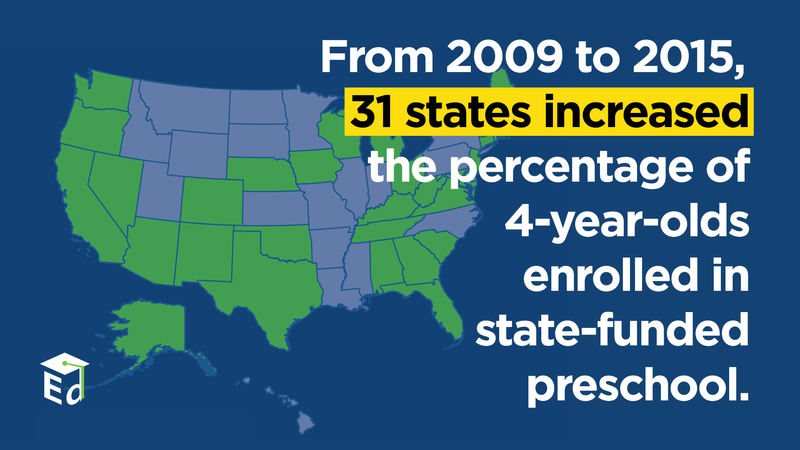 Since then, all but four states now offer preschool to young children. While states and the federal government have invested in early education, particularly throughout the course of the Obama Administration, more needs to be done to ensure every parent and family can access and enroll their child in a quality preschool program. The Preschool Development Grants program, jointly administered by the U.S. Departments of Education and Health and Human Services, has been a down payment on the President’s vision, investing $500 million to support 18 states in providing high-quality learning experiences to children in 230 communities. In the fall of 2015, those states enrolled 28,000 four-year-olds in high-quality programs supported by the grants; 35,000 more four-year-olds were enrolled in those programs in the fall of 2016. A version of this program is now enshrined in our nation’s new education law, the Every Student Succeeds Act (ESSA), which, for the first time, includes provisions to promote coordination in early learning among local communities; align preschool with early elementary school; and build the capacity of teachers, leaders, and others serving young children to provide the highest-quality early learning opportunities. 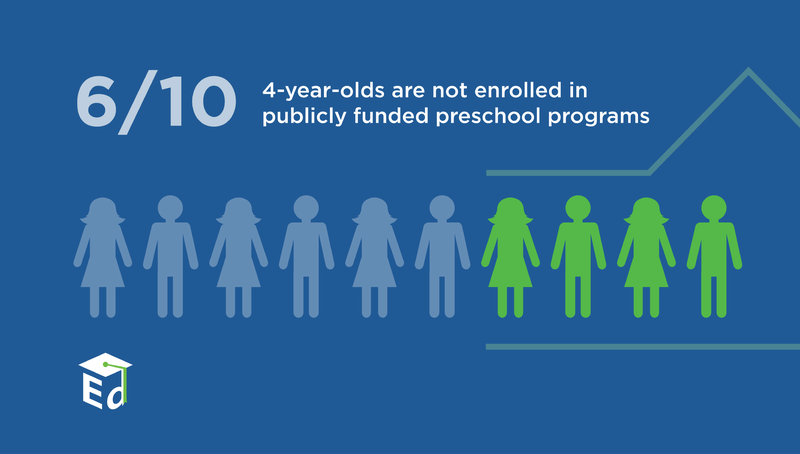 Significant challenges remain — today, only 41 percent of all four-year-olds in the United States are enrolled in publicly funded preschool through state programs, Head Start, or special education. Even fewer are enrolled in the highest-quality programs. Unfortunately, access to strong early education opportunities differs across the country by income and race. Most children who have access to preschool are enrolled in moderate-quality programs, but children from low-income families and black children are the most likely to attend low-quality programs. And, while Latinos are the fastest-growing and largest minority group in the United States, making up a quarter of all three- and four-year olds, as a group, they are the least likely to attend preschool. Without access to quality preschool, students of color and children from low-income families are far less likely to be prepared to start kindergarten than their peers. Recognizing that the effort to provide all children with a strong start requires a nationwide effort, President Obama announced Invest in US — a challenge to the public and private sectors, business leaders, philanthropists, elected officials, and others to strengthen communities and the country by expanding great early education programs. The initiative has, so far, received more than $340 million in new private funding to expand the reach and enhance the quality of early learning for thousands of additional children. To live up to the nation’s promise as a land of opportunity for all, every child must have the chance — from the start — to develop his or her full potential. The stage is set for additional progress toward achieving this goal. The nation’s new education law, ESSA, provides more opportunities to expand early learning by reaffirming the use of federal Title I funds to support preschool-aged children and building on the work of the original Preschool Development Grants. The nation can expand quality early learning even further — and each person has a role to play in advocating for the strong start that every student deserves, so that all children, in every community, are prepared to succeed in school, their careers, and life.